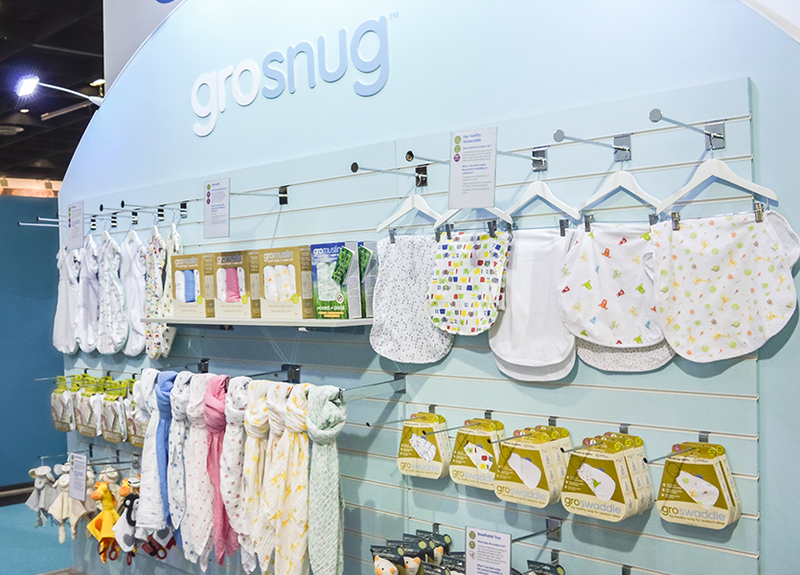 Creating an innovative retail experience at the world’s leading trade fair for baby and toddler products. The Gro Company is part of the Mayborn Group, along with Tommee Tippee. 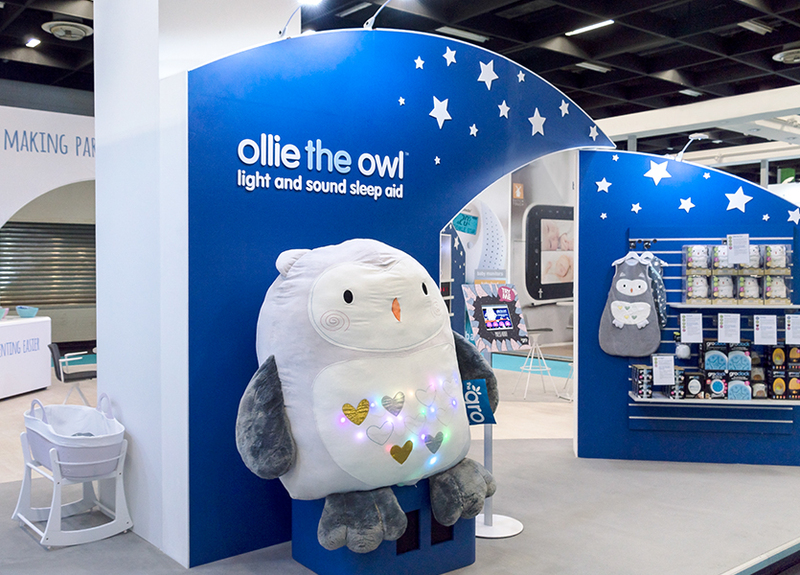 Gro is well known in the UK and internationally for its innovative parenting products, including Grobag Baby Sleep Bags, the Groclock, and its latest award-winning innovation, Ollie the Owl Light and Sound Sleep Aid. 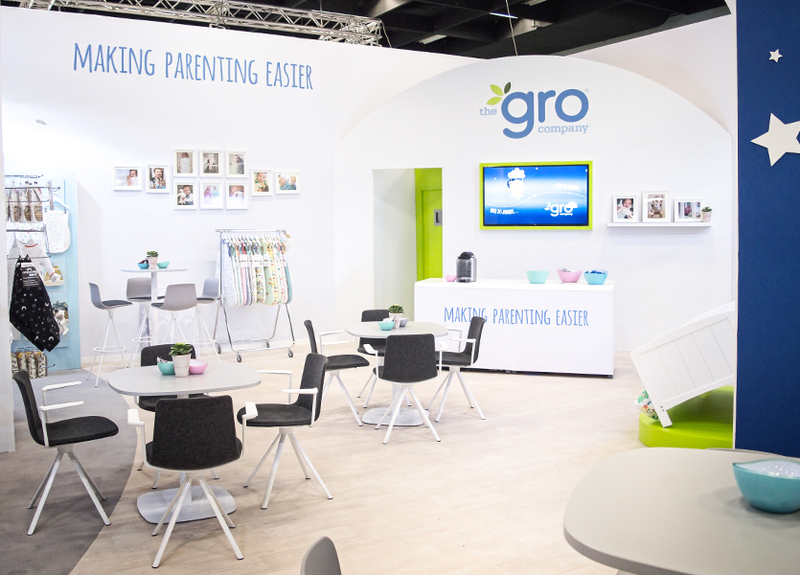 Gro’s flagship marketing event is Kind + Jugend in Cologne, the world’s leading trade show for child, toddler and baby equipment. Given its position as a leading player in this sector, The Gro Company took a 9.5 x 10.5m stand in one of the main halls. The design was a modular set-up designed to be efficient to put up and take down, and to be re-used easily in both a retail environment and an exhibition stand, without waste. The stand, a true collaborative project with our sister agency, Phoenix Wharf, was a joy for our team to design and put together. — Head of Creative and Marketing, The Gro Company.